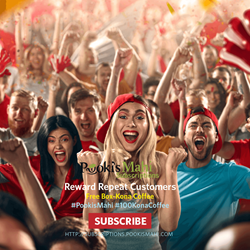 Founder/CEO Les Magsalay-Zeller makes it easier for Pooki’s Mahi® wholesale coffee club customers and resellers to purchase 100% Kona coffee pods while protecting sensitive data with Amazon Payments. Pooki’s Mahi direct to consumer (D2C) business started online. I implemented a zero tolerance policy because Pooki’s Mahi brand and I were cyber-bullied by firms engaged in cyber-criminal activities resulting in irreparable harm. Silicon Valley startup Pooki’s Mahi® announced today Amazon Pay is now integrated to the platforms managing orders for wholesale resellers and private label products customers. Amazon Pay gives Pooki’s Mahi repeat customers familiarity and convenient buying experience using existing information already stored on Amazon’s systems. “Pooki’s Mahi actively monitors supply chain, technology platform and resellers for anomalies. Pooki’s Mahi does not fulfill orders using compromised customer data. A customer is given three changes to fix the erroneous information used to purchase the 100% Kona coffee pods. Pooki’s Mahi reports customers to the appropriate authorities for cyber-criminal activities if the customer does not fix the order information within three attempts,” continues the Silicon Valley high tech exec. The high tech startup actively monitors Pooki’s Mahi’s own platforms to protect customers from phishing attempts. Protecting customers from cyber-criminals is a high priority for Pooki’s Mahi. Customers should be able to shop safely. The food and beverage startup has a zero tolerance policy for individuals or firms engaged in cyber-bullying or cyber-criminal activities like phishing information with the intent to harm a business. 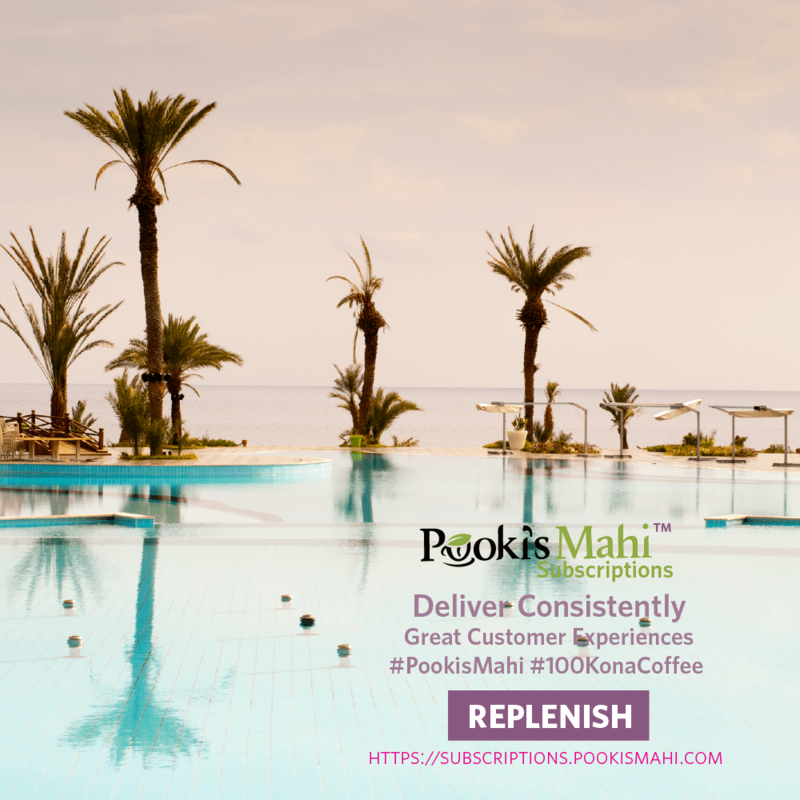 Pooki’s Mahi does not actively pursue customers to change where to purchase their favorite 100% Kona coffee single serve pods. A lot of repeat customers purchased Pooki’s Mahi 100% Kona coffee pods on Amazon’s marketplace before buying coffee subscriptions or placing private label orders directly on PookisMahi.com. Pooki’s Mahi added Amazon Payments to give existing customers an option to check out without providing personal details. The advanced fraud protection aligns with Pooki’s Mahi zero tolerance policy against cyber-criminals. Amazon’s Payments platform helps validate and verify customers with a familiar and trusted login. Amazon’s fraud detection and prevention technology helps protect Pooki’s Mahi from processing fraudulent orders. Pooki’s Mahi monitors transactions for suspicious activities. Amazon payments will not work on Pooki’s Mahi coffee subscriptions platform. Pooki’s Mahi orders received by 9:00 am PT ship the next business day. Pooki’s Mahi sends the carrier and tracking information to the buyer. Pooki’s Mahi requires a signature in select zip codes reported to have shipments disappear. Customer’s information already stored in Amazon’s systems will be used. Pooki’s Mahi direct to consumer (D2C) business started online. Protecting Pooki’s Mahi brand and customer data from cyber-bullies and cyber-criminals is very important to the Silicon Valley food and beverage startup. Pooki’s Mahi executives are deeply rooted in technology and have helped build platforms that power many of today’s Fortune 500 companies. The stringent process to qualify and select vendors or suppliers ensures Pooki’s Mahi does not experience data breaches. For use in 1.0 and 2.0 single serve coffee makers. Pooki's Mahi®, Matcha Matcha Man® are registered trademarks of Pooki’s Mahi. The PMO Practice™, Kona KaKao™, and KaKao™ are trademarks of Pooki’s Mahi. New Product Launch Introductions, Go To Market Planning, and supply chain frameworks are protected under VA 1-924-170. 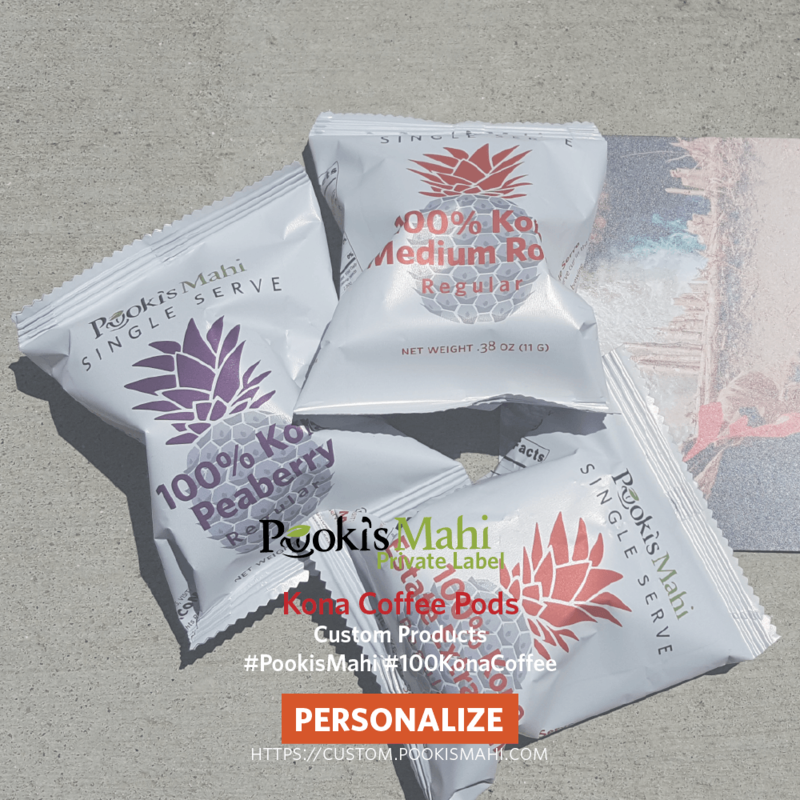 Pooki’s Mahi® is a Silicon Valley-based high tech company passionate about combining technology, operations excellence and digital marketing to consistently launch the best Kona coffee pods, new private label coffee pods and custom promotional products to market. Pooki’s Mahi is a private label manufacturer offering Hawaiian 100% Kona coffee and award-winning private label teas in sustainable single serves pods. Private label brands partner with Pooki’s Mahi for the efficient supply chain, go to market launch and new product introduction expertise. Since its online launch in 2013, Pooki’s Mahi products have been a favorite of customers, charities, celebrities and athletes and have been featured at red carpet events including Celebrity Gift Suites and athletes and seen on several television shows. Pooki’s Mahi’s mission is to revolutionize the supply chain ecosystem to make it efficient by using technology in bringing the highest quality Kona coffees into the market in a sustainable, compostable cup. Hawaiian coffees are harvested in Hawaii, pod manufactured in USA and distributed to several fulfillment centers in the US. For more information on Pooki’s Mahi custom private label coffee, pods pricing, tea pods visit http://www.pookismahi.com. Follow Pooki’s Mahi on Instagram, Facebook, or Twitter to keep up with news insights to launching private label products. Visit Pooki’s Mahi online policies to learn about the zero tolerance.